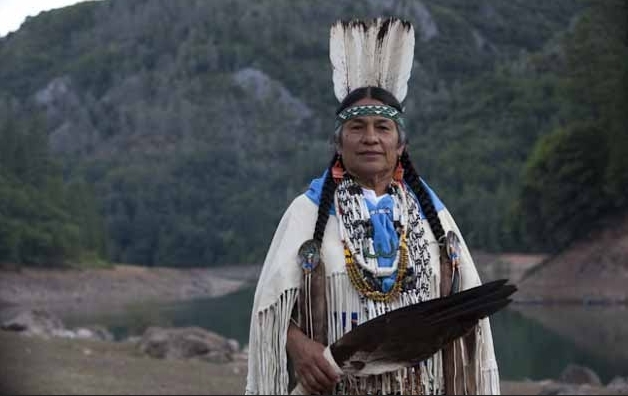 White Wolf : How Native Americans find their Eagle Feathers for ceremonies. 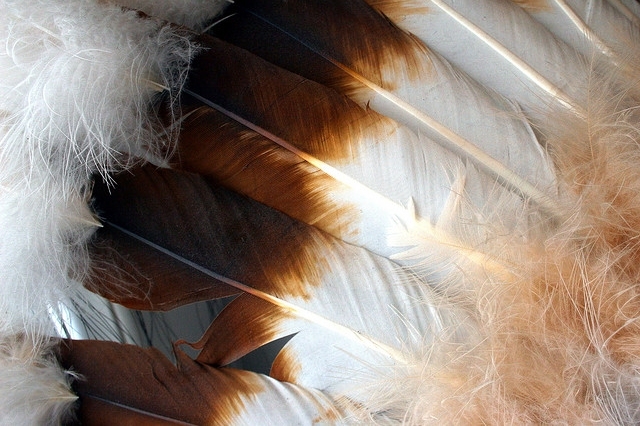 How Native Americans find their Eagle Feathers for ceremonies. Keep Away from Genuine Eagle Feathers. Only Native Americans can use real Eagle feathers for their ceremonies. Many American tribes use eagle feathers for spiritual purposes, but even Native Americans cannot buy them. Thousands of people searching for eagle feathers online don't realize they can only buy imitations. That's because the federal government strictly regulates the possession of genuine eagle feathers. In fact, it is against the law to possess any real raptor feathers, bones, claws, or any parts of these birds, whatsoever. Penalties can be severe with expensive fines and jail time. The only exception is for enrolled members of federally recognized Indian tribes, who must apply for permits to obtain eagles or eagle parts from the government. Many American Indian tribes use eagle feathers for religious purposes, but even Native Americans cannot buy them. Instead, they must request them from the National Eagle Repository at the Rocky Mountain Arsenal National Wildlife Refuge. The repository serves as a collection point for dead eagles, which it then distributes to tribal members on the waiting list. Feathers or parts of bald or golden eagles and other migratory birds may never be sold, purchased, bartered or traded. They may, however, be handed down within Indian tribes to enrolled family members, or be passed from one Native American to another for religious purposes. American Indians may not give eagle feathers or parts to non-Native Americans for any reason. Many people seem surprised when they are told they cannot buy the real thing, according to Lars Eidnes, of Eidnes Furs, Inc. in North Idaho, but, he points out, it has been illegal to possess, transport, sell, trade, import and export, bald eagles or their parts since they were first protected under the Bald Eagle Protection Act in 1940. Golden eagles were added in 1962. In addition, the Migratory Bird Treaty Act and other laws, protect most of the native birds in the lower 48 states, making it illegal to possess even their eggs or nests. Eidnes is an expert in the harvesting, processing, buying and selling of animal feathers, bones, pelts, and hides and he says he must grapple with reams of paperwork to comply with state, federal, and international laws during the course of his business. If people are caught possessing the body parts of protected birds, law enforcement agencies do not have to prove a violation was intentional in order to prosecute. Anyone found in possession of a protected species, its parts, or products, is guilty, no matter whether they knew what they were doing or not. So, when it comes to feathers and bird parts found lying around on the ground, it is best for the amateur to avoid hefty fines and jail time by leaving them where they are, Eidnes said. Imitations bird feathers can be of very high quality, making it difficult to distinguish them from the real thing. The best imitation eagle feathers are made from white hand painted turkey feathers, and the best bone replicas are cast from thermal injection molds. While they may not contain the spiritual characteristics so prized by American Indians for their dances and ceremonies, they will have to satisfy the non-tribal consumer's desire for eagle feathers. Responses to "How Native Americans find their Eagle Feathers for ceremonies." The sure thing is to collect as feathers falling from the young Golden Eagles. The first tail feathers of the young Golden Eagle are black and white, the classic favorite feather of Native Americans. They never killed to steal the feathers. They collected the feathers of the natural saplings of the golden eagle.